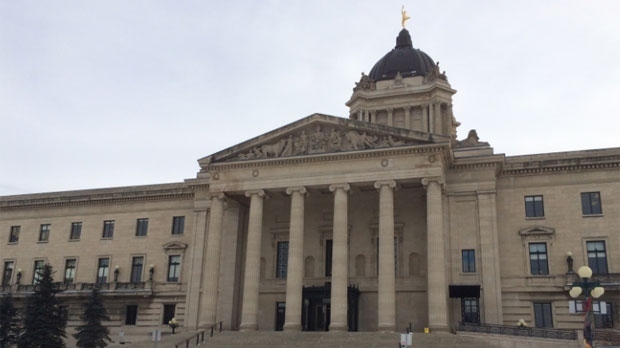 With a possible early election looming, Manitoba's governing Progressive Conservatives have a lot more money in their war chest than their main opponents. Documents filed this week with Elections Manitoba show the Tories received more than $2 million in donations last year -- more than triple the amount raised by the Opposition New Democrats. After expenses, the Tories had $1 million in cash in the bank as of Dec. 31 -- more than five times what the NDP had. Adding to the NDP's woes is the fact that their donations last year were down almost 20 per cent from 2017, continuing a decline from previous years when the NDP was in government. A political analyst said the NDP is still feeling the fallout from a bitter leadership battle in 2014, when five senior cabinet ministers called on then-premier Greg Selinger to resign. Selinger hung on to his job by a narrow margin at a convention the following spring but resigned after the party lost the 2016 election. "The party has been caught in a reinforcing downward cycle of decline going back to before the leadership fight and the huge political setback in the 2016 election," said Paul Thomas, professor emeritus of political studies at the University of Manitoba. The Manitoba Liberals, who traditionally raise much less money than the other major parties, have yet to file their financial results. The next election is scheduled for Oct. 6, 2020, but Premier Brian Pallister has hinted repeatedly he may call voters to the polls sometime this year. Pallister put an emphasis on fundraising and membership sales when he took over as Tory leader in 2012. He set targets for Tory candidates to meet if they wanted to continue to run under the party banner. The Tories have also pounded the pavement during so-called Blue Blitzes, where volunteers spend weekend days knocking on doors in targeted areas. During the first Blue Blitz in 2013, the targeted constituencies included Brandon East and Interlake -- both of which were held by the NDP at the time and turned Tory in 2016.